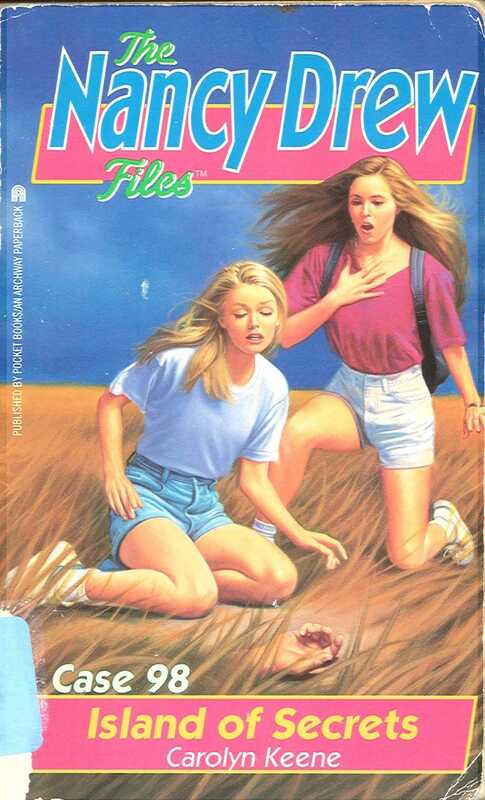 There is danger in the wind and scandal in the sand—and now Nancy’s about to discover where the bodies are buried! Behind the rustic charm of beautiful Block Island lurks an ugly secret...a secret worth killing for. The mystery begins when Nancy joins grad student Barb Sommers on her summer fieldwork—and makes a deadly discovery. Nancy may be able to help Barb, but there’s nothing she can do for fisherman Tom Haines, who has been murdered! Haines was not a nice guy. An operator and a hustler, he was always on the lookout for a big score. But he got in too deep and paid with his life, leaving behind an island full of suspects. Now it’s Nancy turn to stir up the waters...and she’s sure to stir up trouble. A killer’s on the loose, and Nancy’s swimming with the sharks!